Career matters the most for everyone around the world. Every person is anxious about his future and every now and then this tough question pop up in his/her mind. It is quite accustomed that people go to any extent to secure a good job or for the sake of a good career. It is quite common to see, especially youngster exploring all avenues for the betterment of their career and professional life. Some people tend to go for extra courses to brush up their skills, whereas, some people keen on exploring the other possible options for the sake of their respective careers. Likewise, some people believe that astrology or wearing gemstones assist them in finding a better job or career opportunity. There is the numerous number of gemstones which are being suggested by astrologers for a good career. However, only a few of them really works accordingly, cats eye stone is one of those, it is proposed that this stone belongs to coercive and ferocious planet Ketu. Ketu a substantial planet which though does not have any physical presence in the universe, yet, due to its powerful feature it enrolls itself to be counted as a planet. 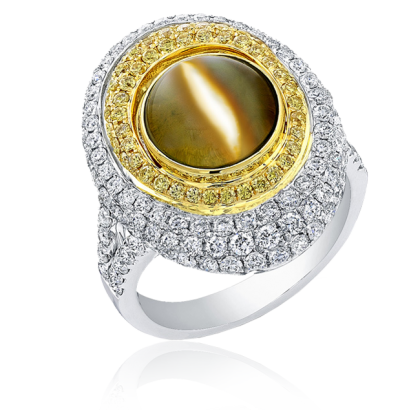 And, it is proposed that wearing Ketu blessed cat’s eye gemstone will help a person to boost his/her career and clears the career aim in his/her mind. Nonetheless, one should seek the advice of an astrologer before wearing cats eye gemstone for the career betterment because only an astrologer brief rightly whether this stone will suit you or not. Keep in the above context in the mind, we have shortlisted the profession who can wear this gemstone. Directors, creative personnel like writers, an author should wear cats eye gemstone since wearing this gemstone will fuel their dreams. Along with this doctor, scientists, judges, pharmaceutical, a miner can wear Lehsuniya gemstone. Those who are involved in motivational talks, spiritualist, mediation and hypnotism field should wear this precious gemstone. Film director, music directors, actors should wear this gemstone. Since wearing this gemstone will rejuvenate their hunger for learning and creative thinking. People who are working in the stock market or risky jobs such as the army, mountain climbing, adventure jobs should wear this stone.